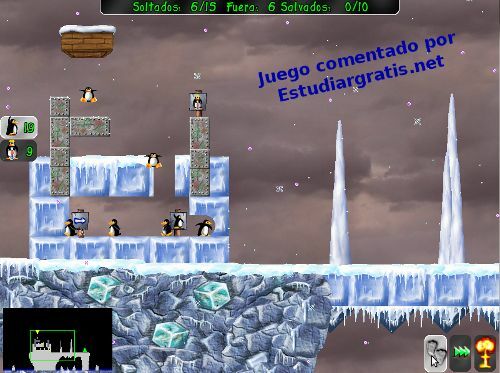 Leer esto en español (This reading in Spanish): Descargar juego entretenido de pingüinos. NFSW excellent car racing 3D game. Entertaining game for all ages, Arcade type, Pingus. The Pingus game to free download, is an entertaining game that treats about to lead a troop of Penguins and solve the situation that arises at different levels. By this the penguins go adding skills to their actions, parachute, jumping, digging, to stop the troop, etc.. This actions are icons at the side of the screen, is selected the action which one want to apply on the Penguin where you click. The game is available for Windows, Linux, Ubuntu, and other systems, is a funny game for all ages. More and more is complicated keep alive those Pingus, and of that is what the game is about. Entertain yourself, without stop of reading something every day in Estudiargratis.net!